Our Price: $17.00 per quart. 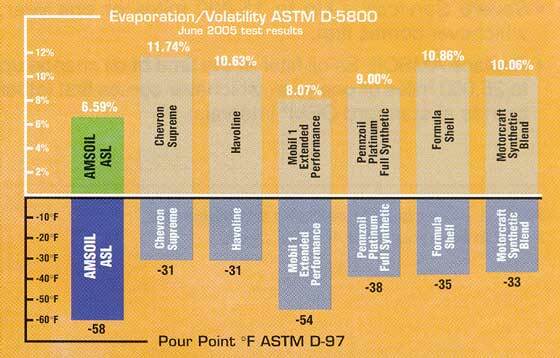 AMSOIL, the leader in automotive synthetic lubrication, produced the world’s first API qualified synthetic motor oil in 1972. 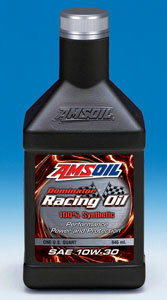 Trust the extensive experience of AMSOIL The First in Synthetics® to do the best job protecting your engine." Our Price: $22.00 per quart. "AMSOIL Dominator® Synthetic 10W-30 Racing Oil (RD30) provides superior performance and maximum protection in high-performance and racing applications. Formulated to withstand the elevated RPM, high temperatures and shock-loading common to racing applications, Dominator Synthetic 10W-30 Racing Oil delivers superior performance and maximum protection in extreme conditions. Its shear-stable formulation was engineered to provide maximum horsepower without sacrificing engine protection. Dominator Synthetic 10W-30 Racing Oil provides straight-grade protection in a multi-grade formulation. AMSOIL, the leader in automotive synthetic lubrication, produced the world’s first API-qualified synthetic motor oil in 1972. 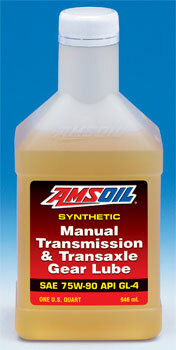 Trust the extensive experience of AMSOIL The First in Synthetics® to do the best job protecting your engine." Our Price: $24.00 per quart. AMSOIL Synthetic Super Heavy Weight Racing Oil is formulated with a complete and robust additive package, making it suitable for all engines for which API SL/CF SAE 60 oils are specified or desired. 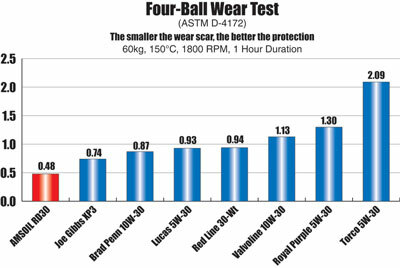 AMSOIL Synthetic Super Heavy Weight Racing Oil contains no friction modifiers and is wet-clutch compatible, meeting the frictional requirements of JASO MA and ISO-L-EMA. The combination of high viscosity, full additive system and wet-clutch compatibility make this oil an excellent candidate for use in air-cooled vintage and classic motorcycle engines such as the Harley-Davidson Knucklehead and Shovelhead models. Our Price: $19.00 per quart. Our Price: $27.00 per quart. Our Price: $21.00 per quart. Outstanding performance in domestic and import cars, trucks, SUVs and commercial vehicles. Our Price: $20.00 per quart. Our Price: $18.00 per quart. Our Price: $23.00 per quart. Our Price: $19 per bottle. Our Price: $17 per bottle. 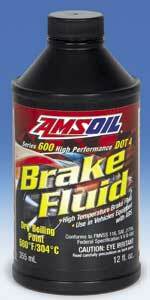 AMSOIL Series 600 DOT 4 Racing Brake Fluid has a dry ERBP of 304°C (580°F) and wet ERBP of 210°C (410°F). Our Price: $26.00 per bottle. All Amsoil trademarks & copyright material belongs to Amsoil. The manufacturer of Amsoil Products.